The Ergotask Extra High Back has been purposely designed for Ergolink. The chair has been created to increase ergonomic support including additional support across the lumbar area and the side bolsters. The Ergotask Extra High Back is manufactured using Australian moulded foam to help provide you with extended comfort to get you through your work day. 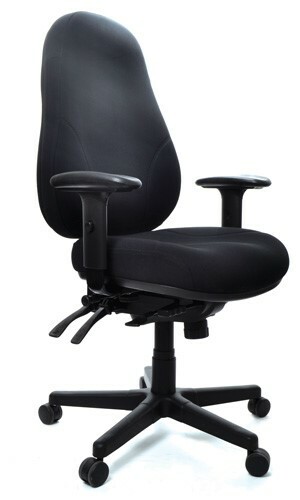 The seat has all the benefits of any quality ergonomic chair - adjustable seat height, seat tilt, back tilt and ratchet. 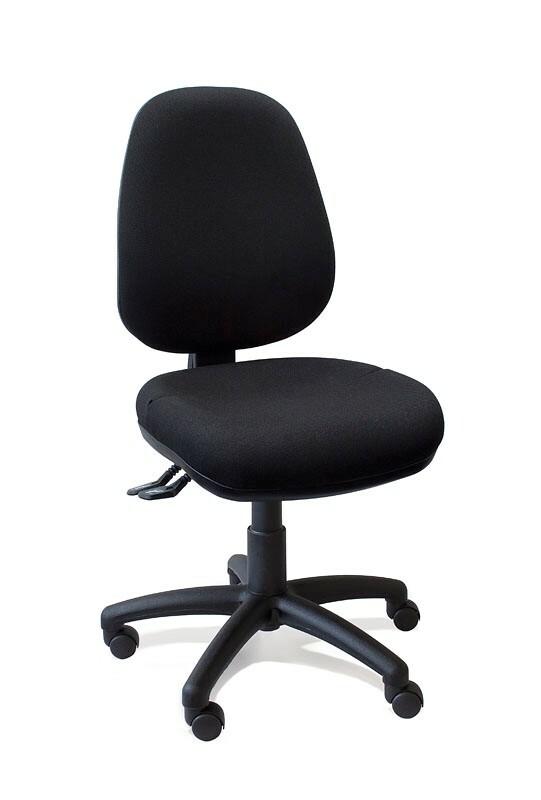 We proudly endorse this product as an exceptional ergonomic chair that meets all of Ergolinks’ requirements when it comes to quality ergonomic design. Extra padding support in lumbar and side bolster area.